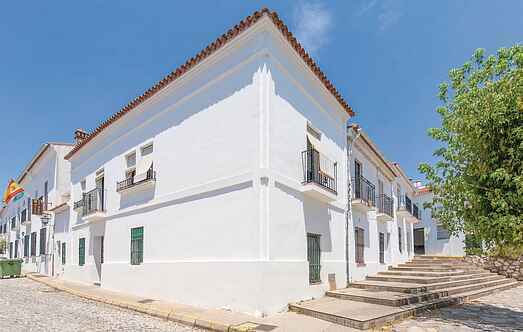 Find a vacation home to rent in Huelva from our list of vacation rental properties. Campaya has over 18 vacation homes available in Huelva, which give you the possibility to locate a unique accommodation in Huelva which completes your check-list in search for the perfect self catering vacation apartments in Huelva or vacation villas in Huelva. 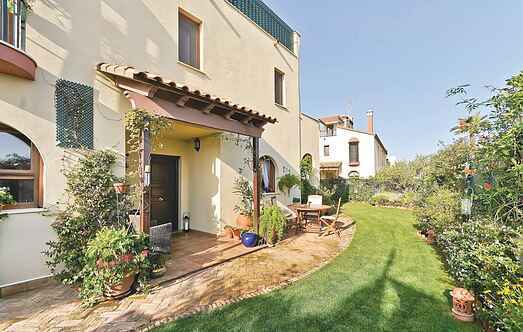 This holiday home located in the southern province of Huelva is a real gem of a house. This wonderful holiday townhouse, with a capacity for up to 6 adults and 2 children, is located in a very quiet area in the center of Aracena. Holiday chalet for 7 persons with private pool on a plot of 1200 m² on the beach Ciparsa in Mazagón. This house is located in a well-maintained area adjacent to the Esuri golf course. The house has a shared pool and garden area. Komfortables Feriendomizil für Familien in einer ruhigen und ländlichen Umgebung. In the beautiful "Sierra de Aracena" is the city historical Aroche. This fantastic holiday home in El Rompido is located near the sea and golf course on the Huelva coast. Ferienhaus über eine Etage mit Dachboden und Pool im Herzen der Sierra de Huelva für 10 Erwachsene. Holiday home with communal pool and beautiful garden, where you can sunbathe or enjoy a meal overlooking the golf course. Very close to the beach and the "Isla Antilla" area. Ruime vakantiewoning op 8 km van het strand van Isla Canela. Het terras met de grill en ligstoelen zijn heerlijk om te ontspannen. Spacious holiday chalet with pool in Cortegana in the Sierra de Aracena with a capacity for 8 adults and up to 2 children. Whole 5 bedrooms with private bathroom on 190 m². This comfortable resident for rent offers a quiet vacation close to the beach without the noise. Only 6.5 km from the center of Huelva, 10 km from Palos de la Frontera and 16.